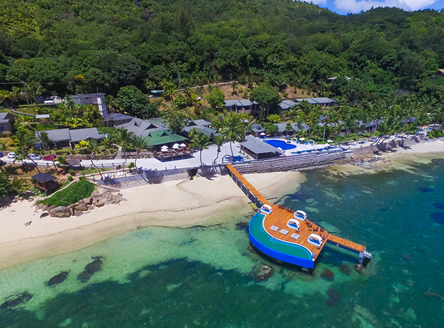 "...The Coco de Mer Hotel lies on several small beaches which form part of Anse Bois de Rose on Praslin Island..."
The recently renovated Coco de Mer Hotel is tucked into a lush tropical hillside at Anse Bois de Rose, on the south-west coast of Praslin. 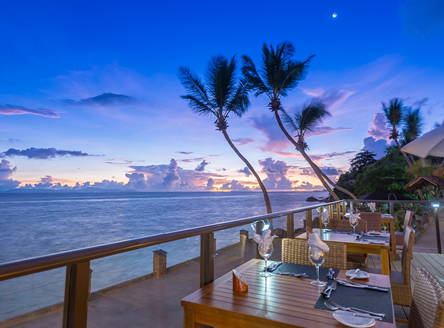 Named after the indigenous Coco de Mer palm, which although extremely rare, occurs in abundance in the tropical forest surrounding this Seychelles hotel. 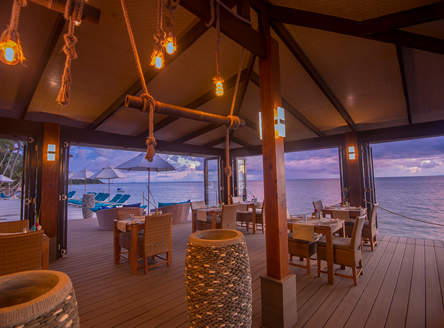 Set on the edge of the ocean, it offers spectacular views of the neighbouring islands and glorious sunsets. 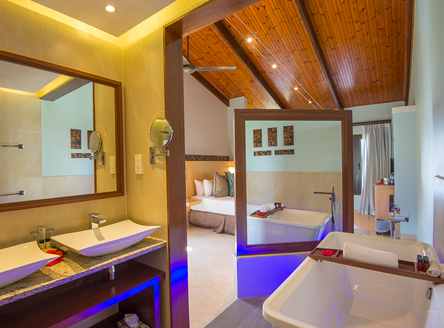 The Coco de Mer offers excellent accommodation in the 'small, traditional hotel style' common to established Seychellois properties. 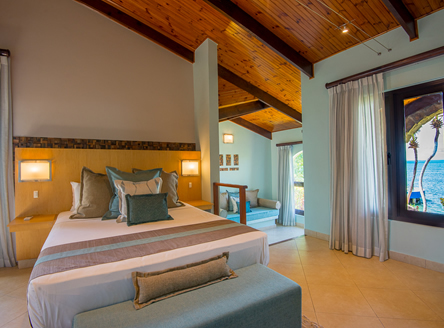 Spacious chalet style rooms are all sea-facing with twin or double beds with private terrace and can accommodate two children in the sitting area. 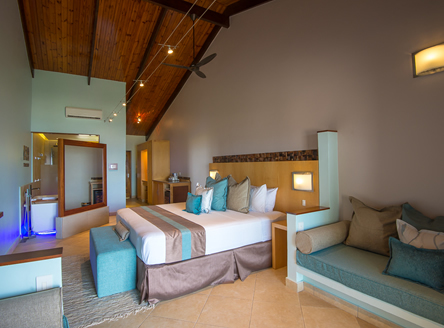 There are also inter-connecting rooms (Superior Rooms) available on request, which boast a private wooden deck area and are ideal for families. 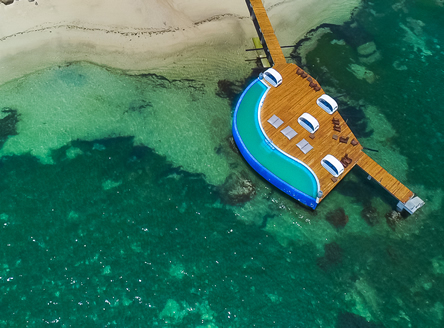 The swimming pool overlooks the ocean and there is also a small paddling pool for children. 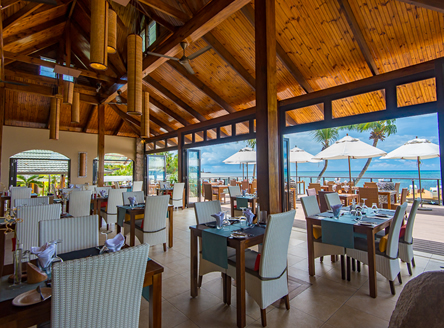 The Mango Terrace Restaurant offers casual poolside dining, while the main Hibiscus Restaurant features private wooden dining decks and offers a fine choice of International and Creole cuisine. 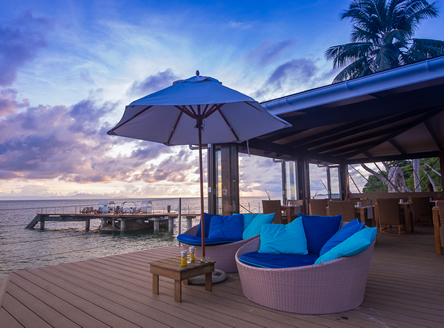 The new lounge and Coconut Bar combines modern, contemporary style with traditional architecture, while the jetty provides a romantic spot for sipping cocktails and dream sunsets! 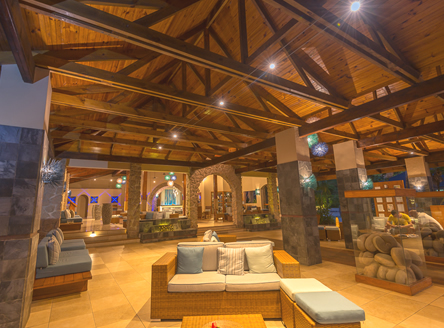 Regular live music is also held at the hotel. 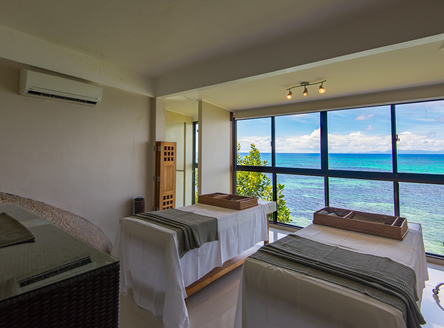 A spa offering a range of treatments is available at the adjacent sister property, the Black Parrot Suites. 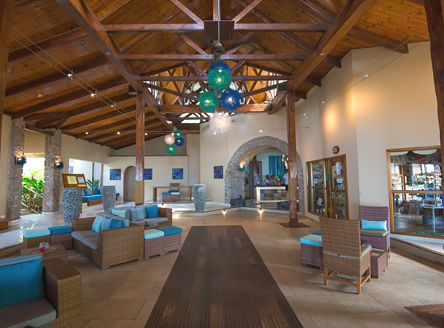 All guests staying at Coco de Mer benefit from a free welcome cocktail, free daily afternoon tea (4-5pm) and a free guided nature walk once during the stay. 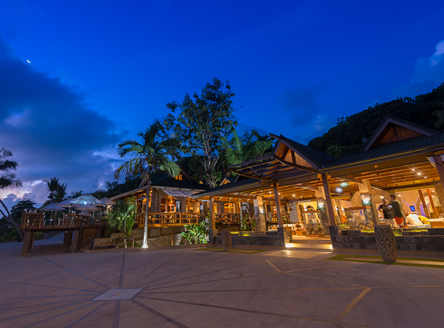 This Praslin hotel lies on several small beaches which form part of Anse Bois de Rose; it is perfectly situated for exploring the island as well as excursions to other islands. Prevailing winds and tides can cause a build up of seaweed between May and late September, although one beach is cleaned throughout this period. 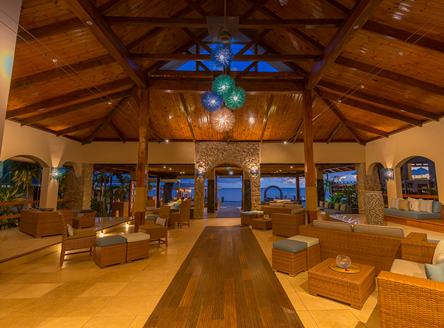 However, the Coco de Mer offers complimentary transfers to Anse Lazio Beach in the north of Praslin several times a week. Inter-island flight from Mahé to Praslin and then road - approx. 30 minutes, OR; inter-island boat from Mahé to Praslin and then road - approx. 1 hour 20 minutes. 40 air-conditioned rooms with in-room corner bath, separate shower, hairdryer, ceiling fans, satellite TV, Wifi internet access (chargeable), mini fridge, safe, tea/coffee facilities, lounge area and terrace. 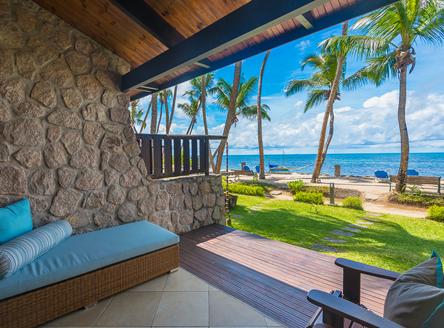 From £1269 per person for 7 nights on Bed & Breakfast in a Standard Room including return flights from London, return inter-island flights from Mahé to Praslin and all road transfers. 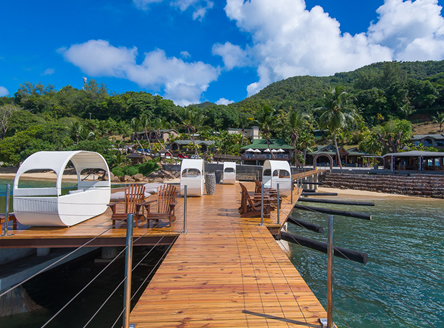 An inter-island boat transfer is also available between Mahé and Praslin if preferred. 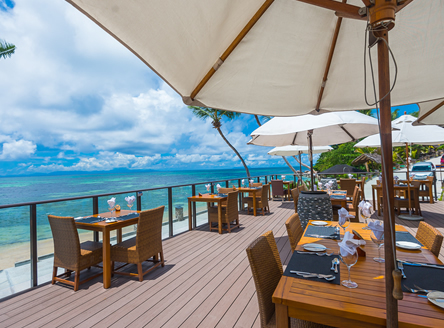 Looking to book this hotel from outside of the UK? 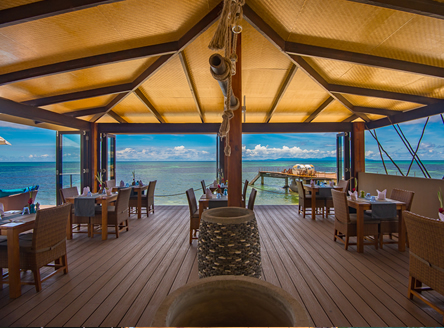 We can arrange accommodation with transfers as above from €1279 or US$1289 per person (excluding flights). Lovely accommodation in lush surroundings. 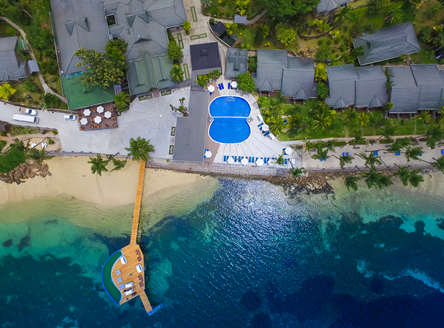 Beach may be prone to seaweed between June - September but the hotel offers free transport to Anse Lazio. “Coco de Mer excellent all round. Lovely, friendly service. 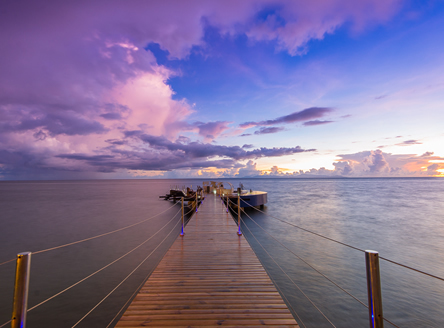 Creole Travel Service also excellent throughout, including the additional extra excursions." 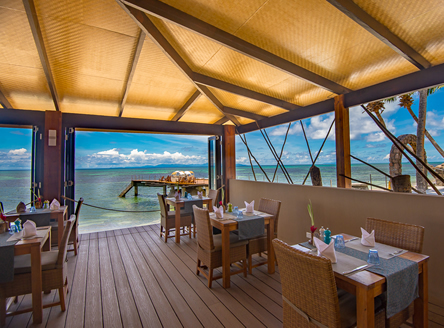 Why not combine Coco de Mer with a fabulous Catamaran Cruise? 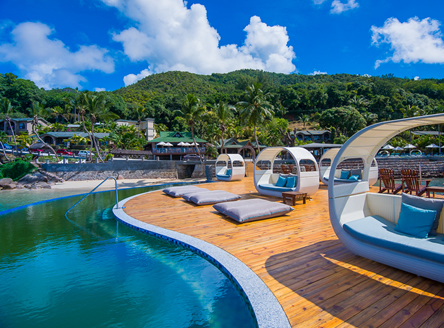 A stay at the Coco de Mer Hotel makes a great combination with one of our superb Seychelles Catamaran Cruises. 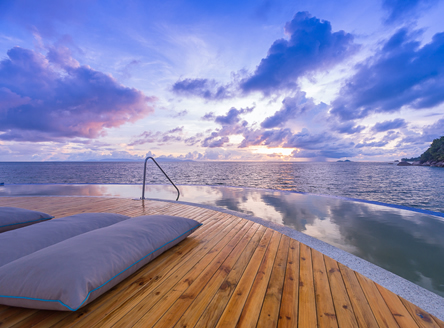 We can tailor any 'Cruise & Stay' package, from luxury resorts to boutique hotels.